What you gonna do with them? Actually, I'm sure I shoulda asked, what did ya do wid dem? I never thought of grilling them. Sounds good. I usually dust with seasoned flour (salt, pepper, garlic) and pan fry 'em. If I get to go this season (it's hard, when you work nights), I'll give the grill a try. 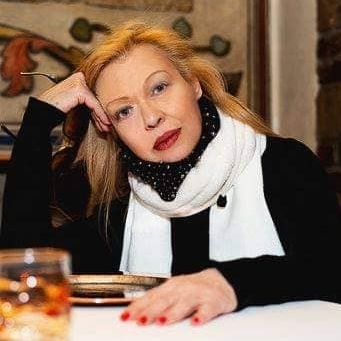 I agree on the taste profile, sort of mild chicken and catfish fusión. I rarely see them on Madrid cartes, however, they are quite common in Extremadura, the central south western province just north of Sevilla. As Extremadura has numerous bodies of wáter, in its Biosphere Nature Reserve áreas. Most of Spain is quite dry and arid and irrigated for crop cultivation. I have always had them grilled here. 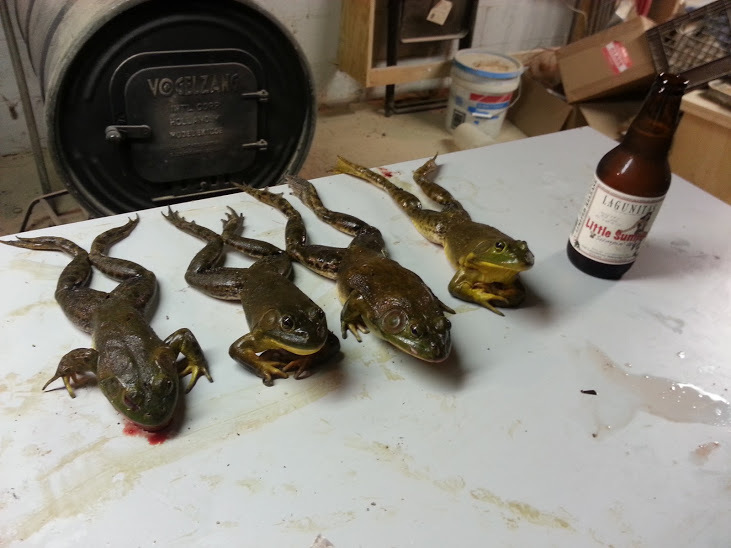 For how good they are, I'm surprised that froggin' isn't bigger than it is. These little guys are delicious! Brook, they are certainly delicious with a nicely seasoned dredge too! 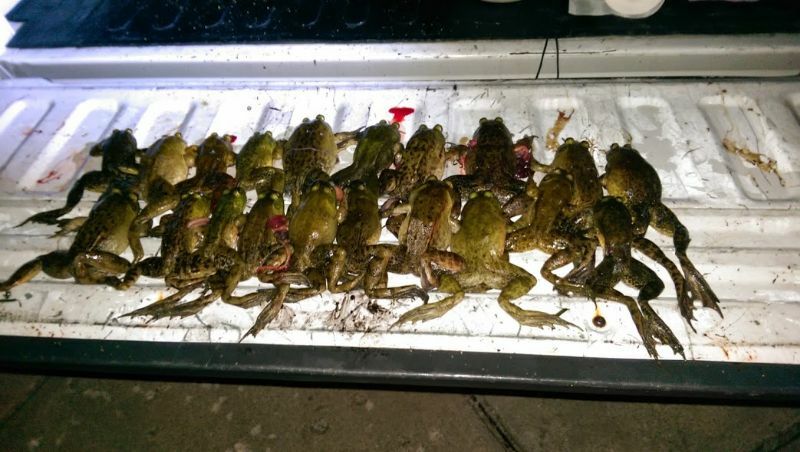 a group of frogs from three of us who went out...just short of our limit...but still a very good night froggin'! now that's a nice pair of legs! A couple of possible reasons froggin' isn't more popular, Dan. First is the concept of "sport." Far too many outdoor types look down on those who hunt or fish for the table. "Meat hunters," they sneeringly call them. This attitude is, unfortunately, supported by the outdoor press. Which is why you see so many articles about catching (and releasing) bass & trout, and so few about catching (and keeping) catfish. Sorry guys. I'm primarily a catch & release fisherman myself. But that does not make me morally superior to somebody who keeps a few trout for the table. Second is squeamishness. 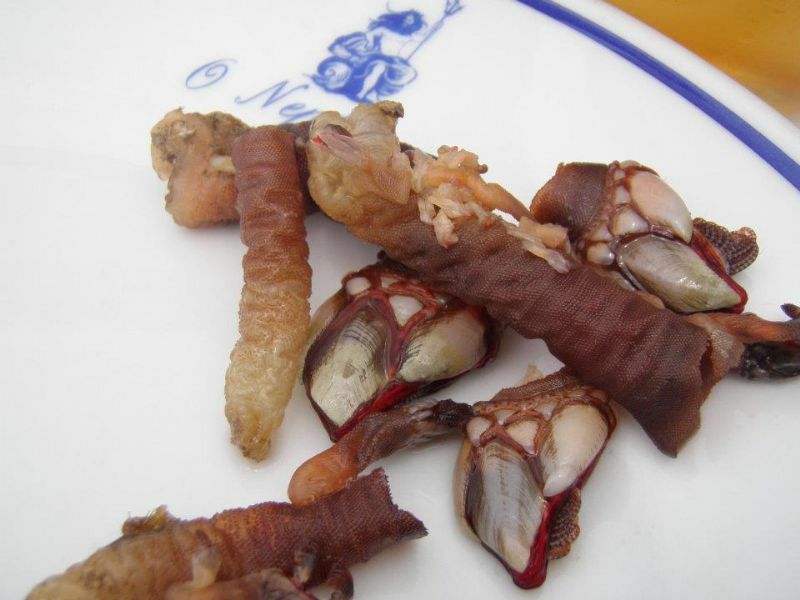 The same person who orders frog legs in a restaurant balks if they have to catch, clean, and cook the little amphids themselves. Sadly enough, this includes professional food service people as well, many of whom wouldn't know how to start breaking down a frog. Hell, most of them can't even break down a chicken, and they cook those every day. Third is just plain lack of knowledge. Most of us, nowadays, do not have a father---uncle---friend of the family to take us out and teach us outdoor skills. So even developing an interest in such things can be far fetched; particularly when you're constantly bombarded by media and teachers saying that hunting, fishing, trapping, and other consumptive uses of the outdoors is evil. Me, I had a different problem. 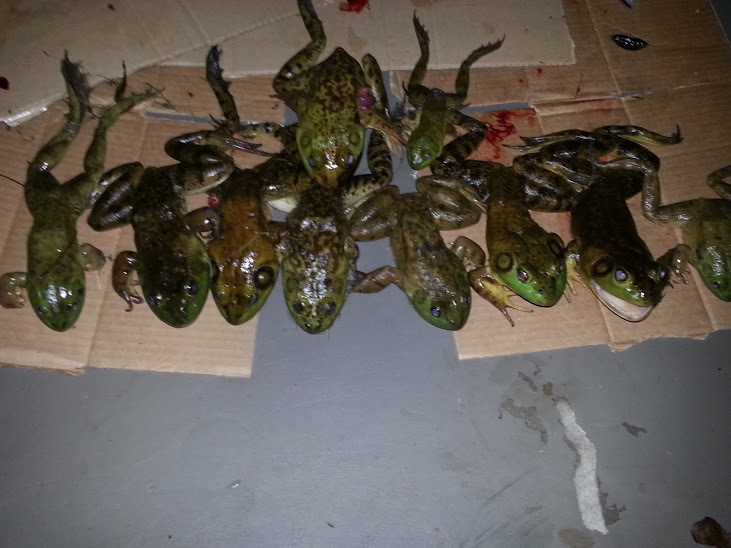 The owner of a hunt club where I used to work had stocked his ponds with African bullfrogs. We're talking about frogs measuring a foot or more long. I mean we're talking about frogs so big that ten of 'em made a dozen. 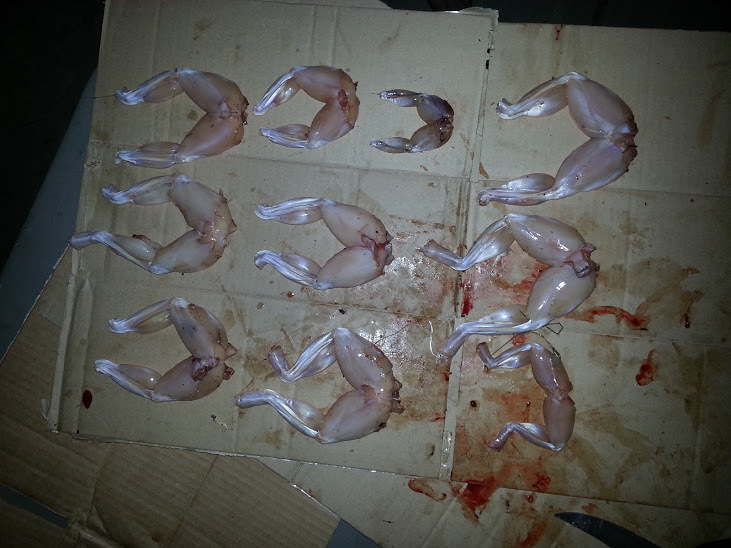 So, for the longest time, I couldn't believe that there was enough meat on domestic frogs to make eating them worthwhile. Of course, I was just as wrong as the liberals who think froggin' is a sin to begin with. Hi Brook, you certainly bring up many good points. I gave up on outdoor magazines many many moons ago. No particular reason...I just got tired of the heavy advertisements that invaded the magazines, then the articles. True, there were still good choices out there...but I just gave up on them. So, snooty attitude be damned! I've been an overly catch and release fisherman my entire life. Back when I was a kid...I would throw an occasional catfish into the freezer for our end of the year fish fry. But as I grew up...I would throw everything back. My thinking has been changing over the years. Partially due to my love of food...and land...perhaps my thinking has been a little flawed, over the years...at least for me. I still don't eat locally caught fish that much...just an occasional from pond to table. For me, I think the thing I try to keep in mind is if what I'm doing is legal and within the laws and regulations. Then, can the land being used, sustain some of its animals being taken. I'm not going to take walleye out of any of the lakes near me. Same with other animals. If there's a lake that's holding a few good frogs and the rest small ones...there's no way I'm taking anything out of there. Same goes for birds and other animals...some plants too. I'm really not interested in depleting the lands supplies...but I'm not interested in bringing home any trophies either. My philosophy about venison is similar, I'll let any trophy buck walk on by. I'm not going after trophy bucks, I'm not interested in a wall mount...why would I want to kill that animal? I can appreciate why people are trophy hunters...but I just want to shoot a doe for some meat. I just looked up African bullfrogs...oh my! do they even jump? Those things are huge! 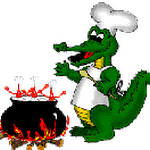 Even fire- roasted tableside in my Asador de Barro with a splash of Clear. I didn't check in as much for a few months...and somehow this post escaped me. 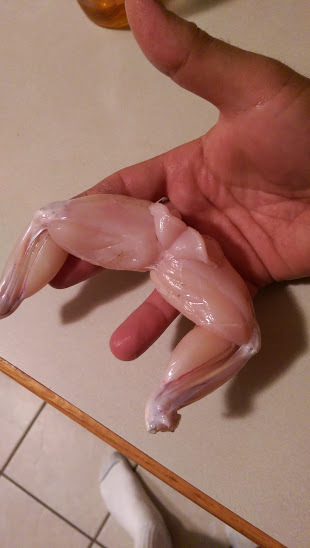 I haven't tried smoking frog legs...it sounds great!